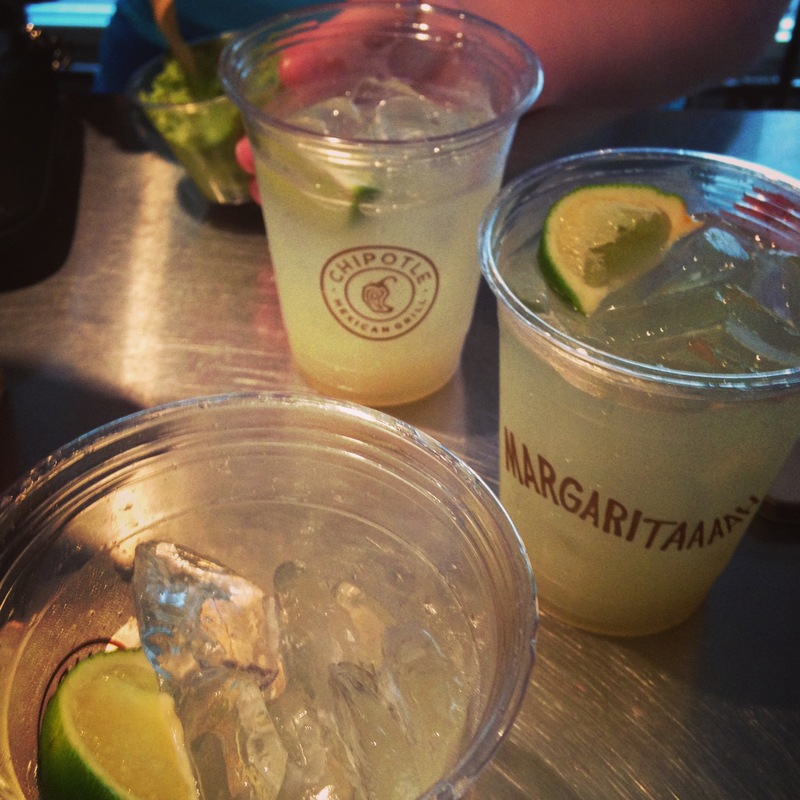 While lining up for lunch at your local Chipotle you may have noticed that they offer margaritas as one of your beverage choices but if you are like me, you’ve probably never really thought much about them or even considered ordering them. Chipotle is looking to change that. The fast casual mexican restaurant has established its brand as the fresh, caring, Michael Pollan-approved fast food restaurant and they are trying to bring some of that mystique to their margaritas. 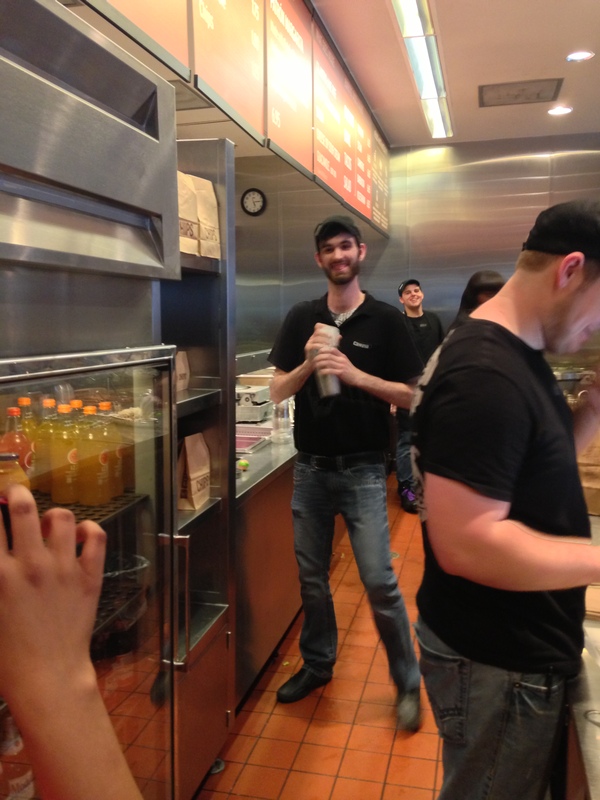 I was invited to head to the Chipotle on Fountain Square to try one with their marketing director and see what I thought. So what is different about these margaritas? First of all they are ditching the pre-made sour mix and are using fresh squeezed lemon and lime juice instead. This is really what makes a big difference. 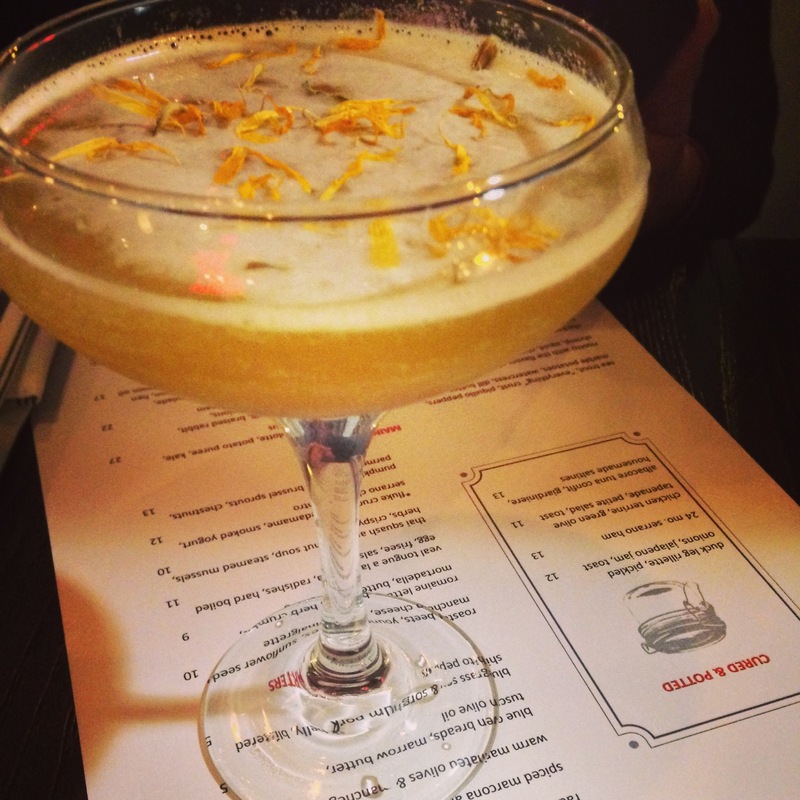 Just using fresh juice takes the taste out of the bar standard hum ho cocktail and creates something that catches your attention. The next thing they have changed is allowing guests to choose to have their drink made with Patron for a few dollars extra. Patron may not be the absolute best tequila out there but it is probably the most well known brand and it is incredibly smooth. They use an ounce and half in their margaritas and the one I tried had minimal alcohol flavor. It was nice, heavy on the citrus, and very tasty. I would very much enjoy sipping on one of those while eating chips and guacamole after work. 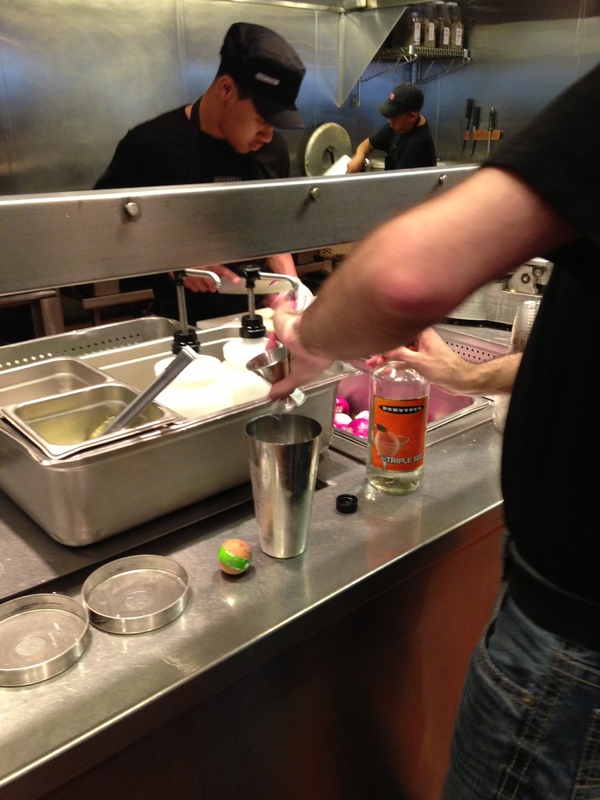 Which gets to the problem that I think Chipotle will continue to have with their margaritas. Nobody I know goes to Chipotle for happy hour. 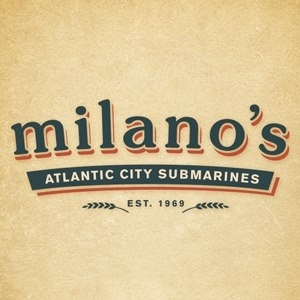 We go there for a quick, delicious, and reasonably priced lunch or dinner. On the piece I recorded for Bottoms Up, Laura from Cincinnati Nomerati and I both agreed that $7 for a Patron margarita made with fresh squeezed juice was a good deal. But it is also the same price as a burrito and ordering one with my dinner will mean doubling my bill. When I head out for a nice dinner or to have drinks with friends I am prepared for that but on my Chipotle nights not so much. So as much as I love Chipotle, (I will be eating there tomorrow night for their Teacher Appreciation, buy one get one free special) I don’t think I will be ordering their Patron margaritas nearly as often as I might like. 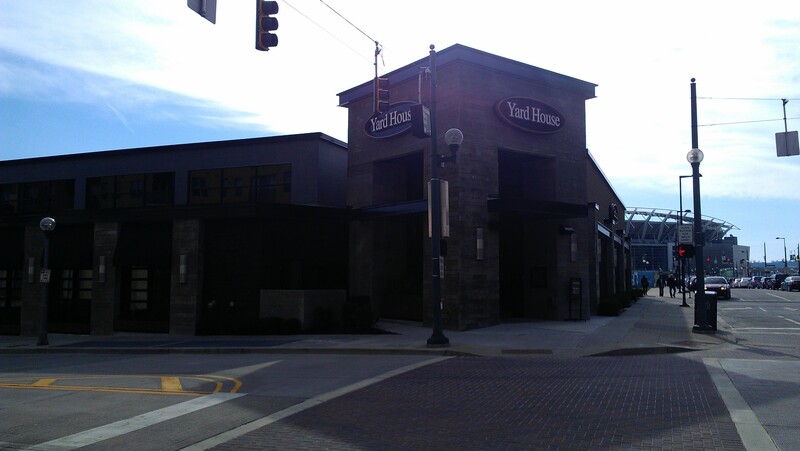 I’m not going to do a full-scale review of the Yard House just yet because 1) I largely agree with what Tom said in his review and 2) I don’t want to judge a business on a soft opening (especially when I’m eating and drinking for free). I’ll just include a few of my thoughts short format belong, along with a few pictures. – The space itself is just a tad above average. Very minimalist, with a one story, spread out floor plan. I think keeping it open looks neat, but will lead to crowd volume issues during busy hours, which was not helped at the preview by the music blasting. 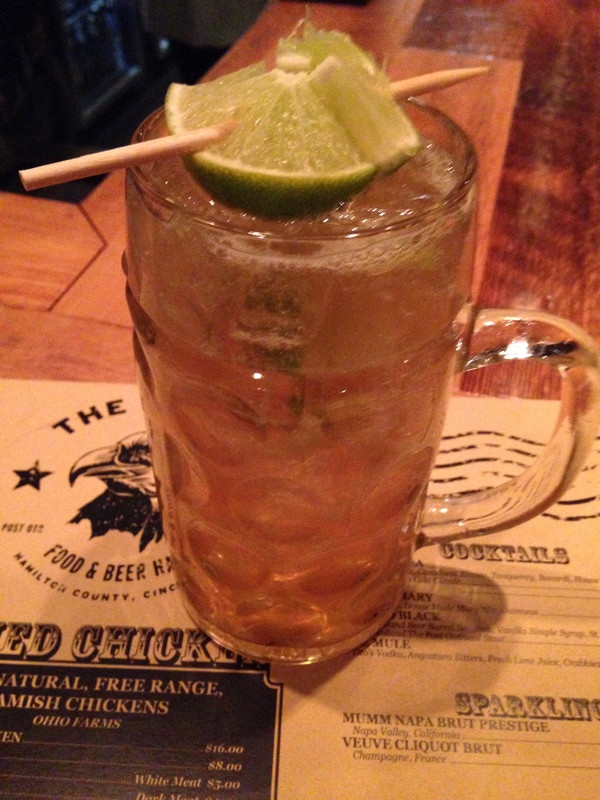 I like the Lager House’s materials and construction considerably more. 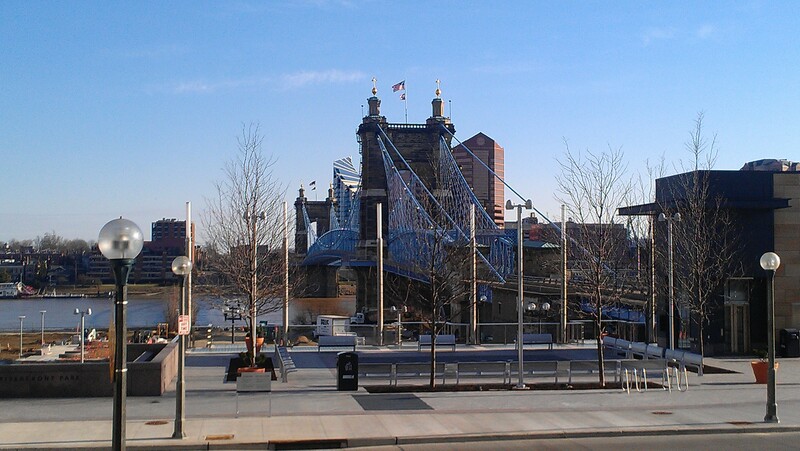 – The view is beautiful of the Ohio River and Roebling Bridge (see below). 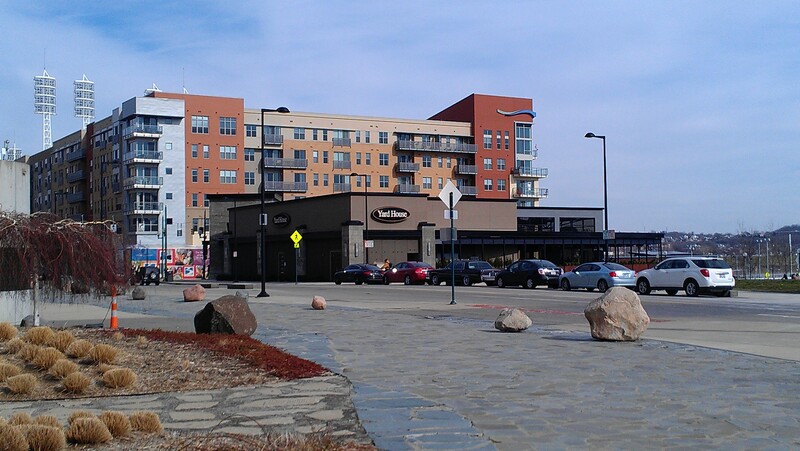 This is going to be a fantastic place to sit for happy hour once the weather warms up. 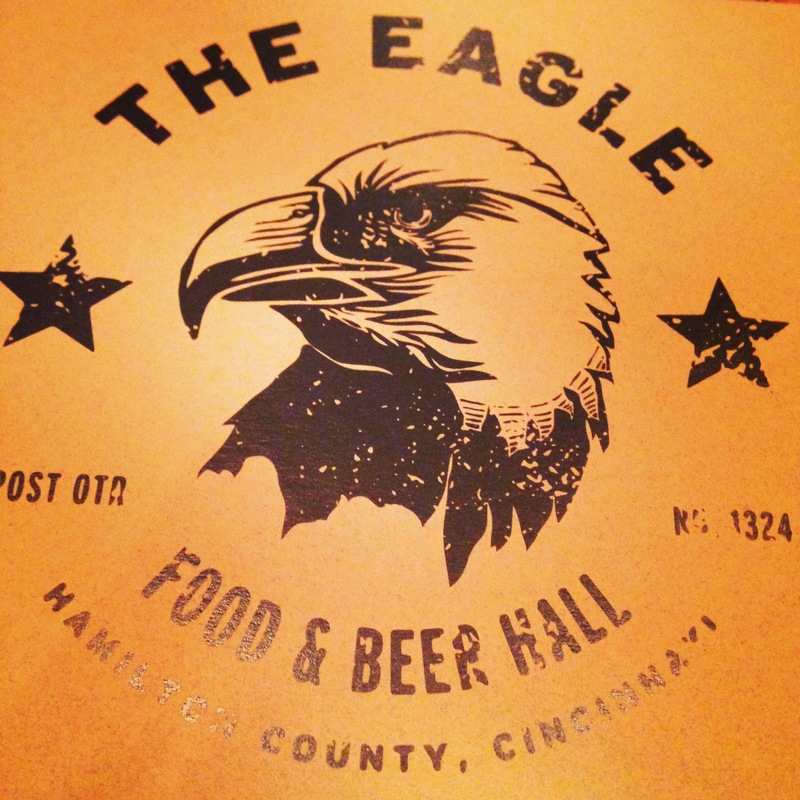 – While there are a ton of tap handles, I wasn’t super impressed by the selection. There aren’t enough locals and too many handles are used for macro. I understand that this is at The Banks and caters to a wide subset of the population (AKA: not just beer geeks), but I think there’s considerable room to improve. I think this will happen as the folks responsible for beer buying there get a better understanding of the lay of the land in terms of local beers in Cincinnati. – The small bites of food I had were fantastic in every case. 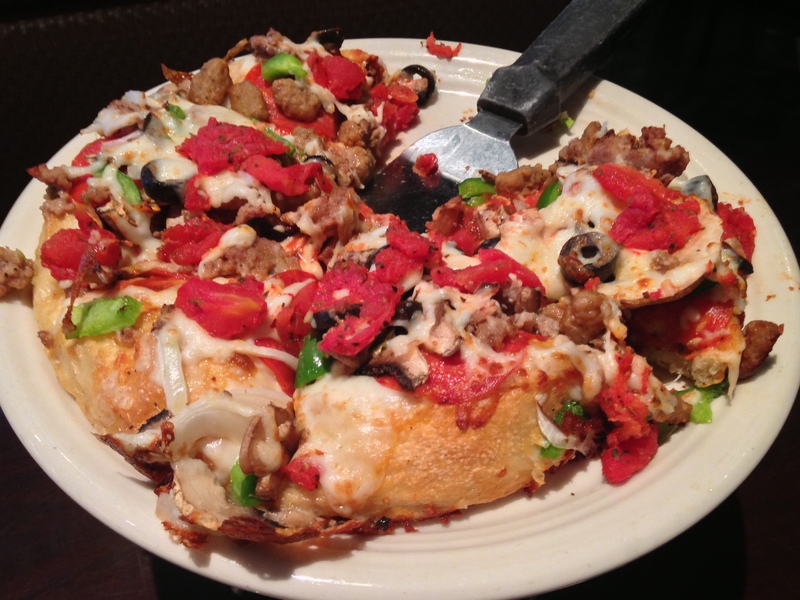 I’m looking forward to coming back during happy hour sometime when they have half off appetizers and I believe pizzas. 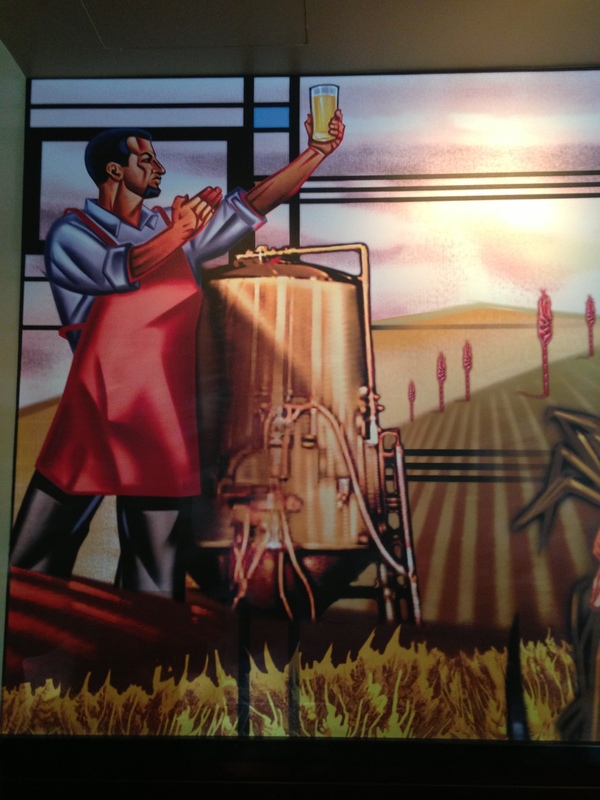 – People talk a lot about what this means for the Lager House. I think the effect with be at worst minimal and at best a benefit to both places. With the Red’s season starting back up, there will clearly be enough demand for both places. Also, I’m a believer that a rising ride lifts all boats. 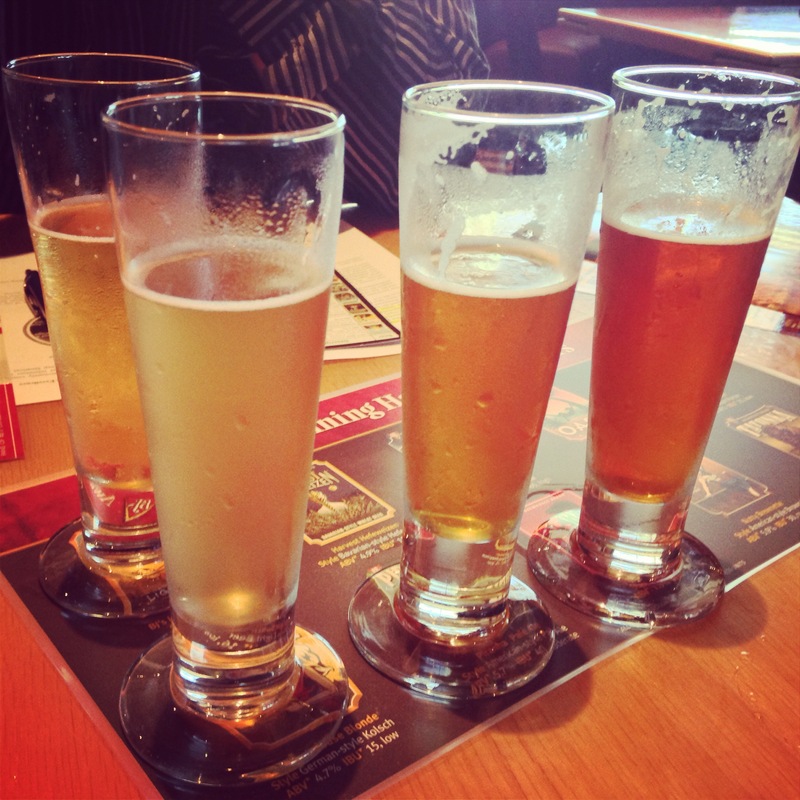 I think the Lager House’s superior beer selection will make the Yard House up their game and I believe the Yard Houses’s eclectic and high-quality food selection will make the Lager House up theirs. Overall, having both is great for consumers. I’m not going to say that the two are equivalent, but if the Lager House was full, I’d be more than happy to walk over to the Yard House for a beer and snack (or vice-versa). 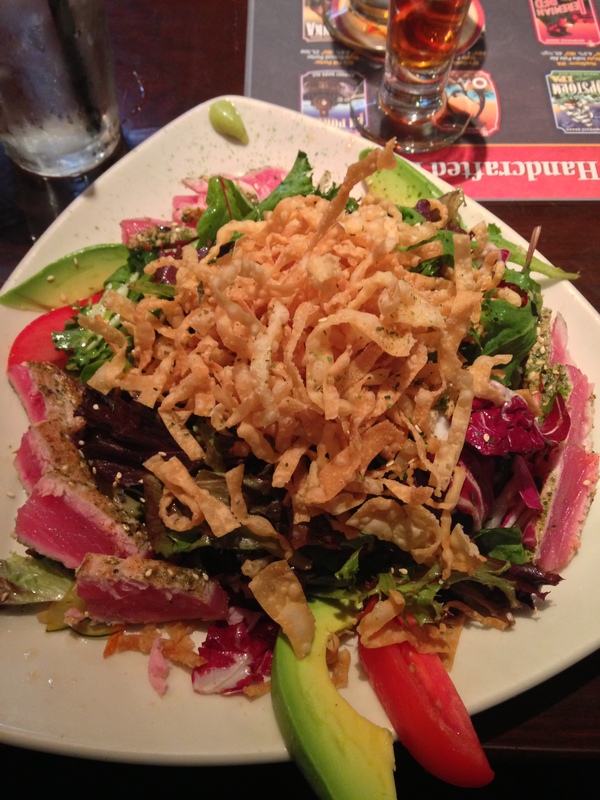 – Overall, I was impressed with not just the Yard House and its food/beer, but with the service, as well. Obviously things were slow because of the crowd size and learning the systems, but it’s nice to see servers new at a place, still chipper and pleasant to interact with. 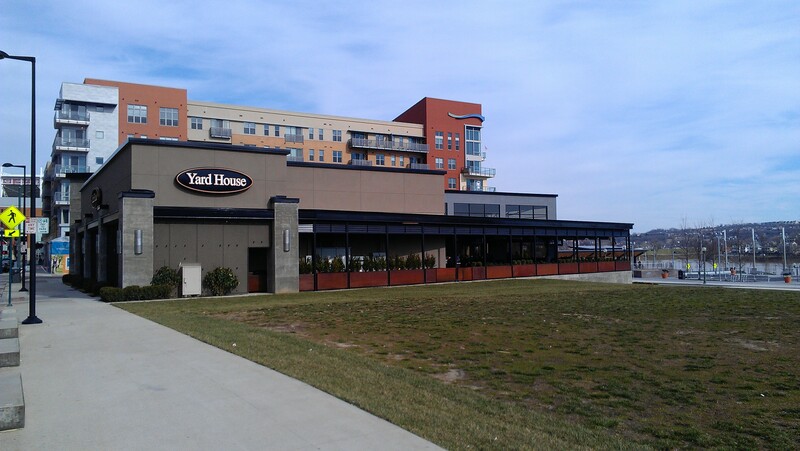 The Yard House from afar. It’s situated right next to the apartments at The Banks. A little closer up view. My terrible, washed out picture of the main entrance. The bar: lots and lots of beer. 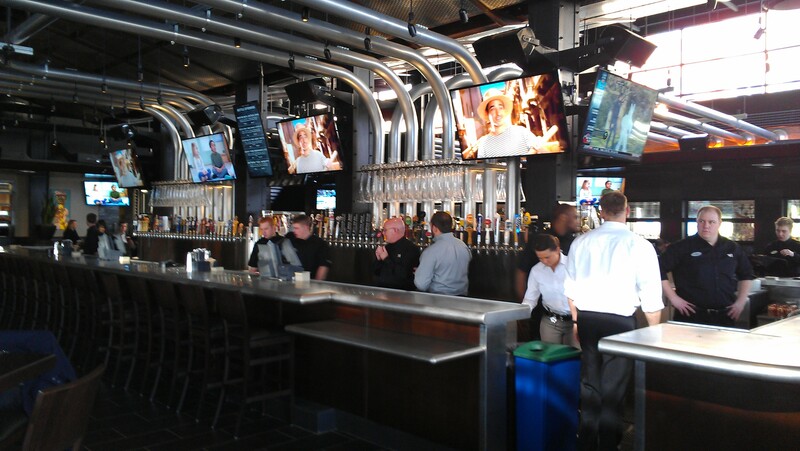 The taps wrap around the entire thing. Those are all the kegs on tap at the time. A fantastic view of the Ohio River.